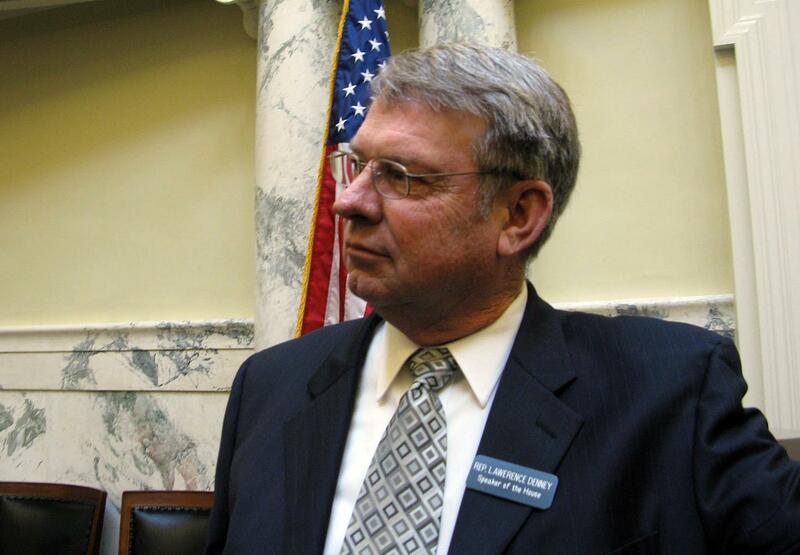 Idaho Secretary of State Lawerence Denney is asking for a budget increase next year of more than 70 percent, with most of the increase coming in a major upgrade to the state’s election software system to allow more transparent reporting of campaign finances, lobbyist records and election management and results. The move was endorsed unanimously earlier by a legislative interim committee that’s recommending more and more frequent campaign finance reporting. “The current applications managing these tasks were built years ago,” Denney said, “and they have been modified to meet the new statutory requirements, but they’re cumbersome,” and don’t include the “user-friendly” features new, modern software could bring. “We believe that this upgrade is the technologically right and necessary next step for the Secretary of State’s office to enable us to securely and correctly administer Idaho’s election system, while adjusting to changes that will come along,” Denney told lawmakers. That line item totals $1.29 million in state general funds; it may be spent over two years. House Democrats are calling for investing in education and infrastructure, rather than the $202 million income tax cut proposal that GOP leaders and Gov. Butch Otter introduced last week. Kansas dramatically cut income taxes in 2012, in what Gov. Sam Brownback promoted as a “shot of adrenaline” to the state’s economy, but instead, revenues shrank, the state’s bond rating plummeted, and Kansas was forced to cut funding for education and infrastructure. Last year, the Republican-controlled Legislature voted to roll back the tax cuts, but the state still faces a huge budget gap over the next two years. Idaho is down to 34 children in its “expanded access” program that’s treating children with severe, intractable epilepsy with a commercial version of CBD oil through a drug trial. Elke Shaw-Tulloch, administrator of the Division of Public Health Services in the state Department of Health and Welfare, told the Legislature’s joint budget committee there originally were 40, but several have dropped out, either due to the inconvenience of traveling to Boise for the treatment or out of concern that the patients weren’t getting as much benefit as had been hoped. Overall, however, the kids have seen excellent results – including sharply reduced seizures – from the treatment. “Once someone unenrolls from the program, that spot cannot be refilled … unfortunately,” Shaw-Tulloch said. She said the original hope was that the drug, a nonpsychoactive derivative of marijuana that’s being marketed as Epidiolex by a British pharmaceutical firm, would be FDA-approved and commercially available by the end of the current fiscal year. But that hasn’t happened yet, so the department and Gov. Butch Otter are recommending funding the expanded access program through the next fiscal year to ensure the kids don’t have a disruption in their access to treatment. With “the changes in the federal government, things have been delayed,” Shaw-Tulloch told lawmakers. “The drug company has submitted their request to the FDA for licensure of this medication, and it is on the fast track.” As soon as it’s licensed, she said, the Drug Enforcement Administration will reschedule it, and then it would become commercially available to the children now in the expanded-access program. “What we don’t want to see happen is kids that are on this program, having great success, and then have no access,” Shaw-Tulloch said. “We are a little uncertain when that licensure will take place, so this is a request to carry those kids through the entire state fiscal year.” The request is for a $26,800 supplemental appropriation in the current year and $149,800 next year in state general funds. Two weeks ago, legislation was introduced in a House committee to legalize the use of CBD oil, also known as cannabidiol, for medical use in Idaho. Lawmakers passed legislation in 2015 to allow parents to use CBD oil to treat ill children, but Otter vetoed it, citing concerns about expanding the use of illegal drugs in the state.